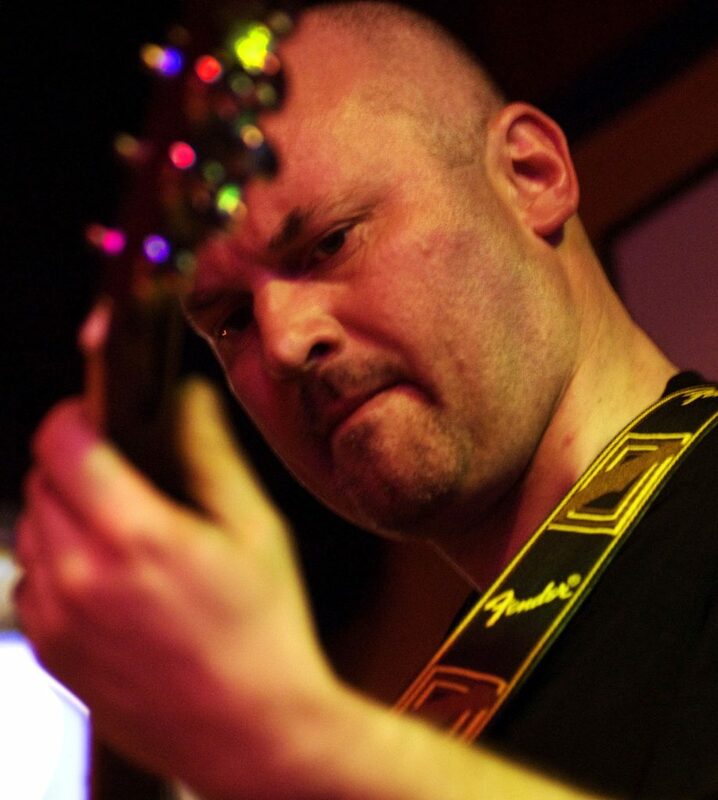 Chris plays bass and guitars, and provides occasional backing vocals. 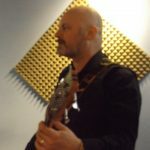 He is a founding member, and also a regular song writer and arranger. Chris started playing music in Holymead Primary School. His school had a very well regarded choir, together with an ambitious recorder group which he remembers playing 4-part arrangements of Handel’s Firework Music and Water Music suites. He performed with the school at Bristol Cathedral and The Colston Hall, and while at that school he started learning guitar on a B&M Admira classical instrument. He still has a B&M Admira, but sadly not the original bought by his parents. 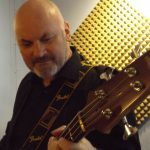 When he moved to Secondary school he met teachers Will Glasby (bass player with folk/rock group Corkscrew) and Digby Dent (very well known on the folk circuit, with cameo parts on TV). They taught him a number of simplified songs and introduced him to bass guitar and that was it! Chris also studied O-Level Music and took Associated Board grades 3 & 4 exams in flute. 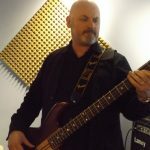 Chris’ first bass guitar was an Antoria EB3 copy, before he progressed to an Aria JB450 Jazz copy, a Fender Jazz deluxe and then an Aria SB-1000. He played these through a series of largely clueless Bristol bands before selling up his gear to buy a car and a Mountain copy of a Martin D28, which he promptly stuck under his bed for several years. Eventually he pulled it out, remembered how to play and bought a series of electric guitars and nicer acoustics. When Chris met James Healey through work they decided to form a band, which quickly became Hargreaves. Chris bought another Aria (an SB R-60) and they were up and running. With their boss (Dave Turner) on drums they recruited Claire Ashton and the band was born in Harrogate, North Yorkshire during 2007. 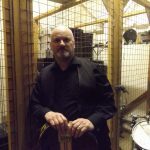 After a number of personnel changes, Chris found himself in Essex with no creative outlet and a load of songs. So he rebuilt Hargreaves from the bottom up, and here we are – all up to date. Chris is married and lives in Sible Hedingham, Essex. His day job is running a specialist PR and marketing business.